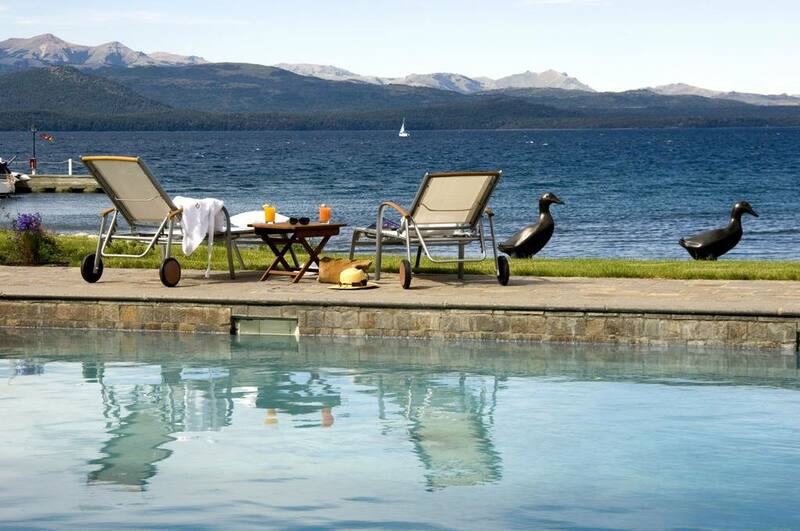 El Casco Art Hotel - Argentina - The Travel Agent, Inc.
EL CASCO ART HOTEL Art & shimmering water views command your attention at El Casco Art Hotel, in the Patagonian Lake District. 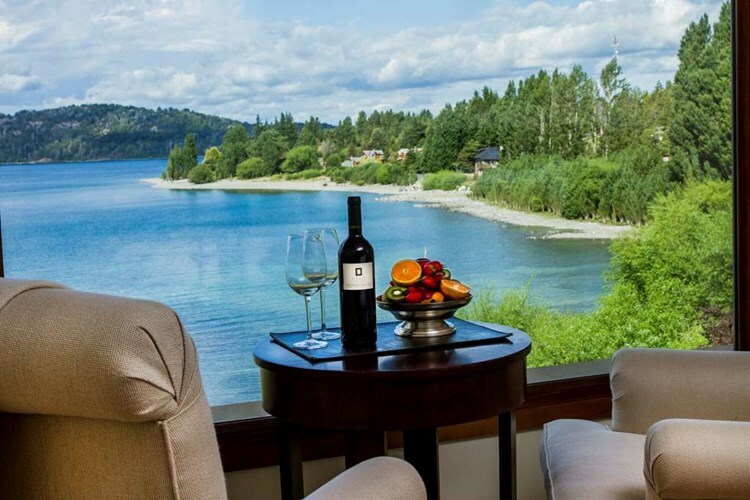 Stylish guestrooms look onto Nahuel Huapi Lake. 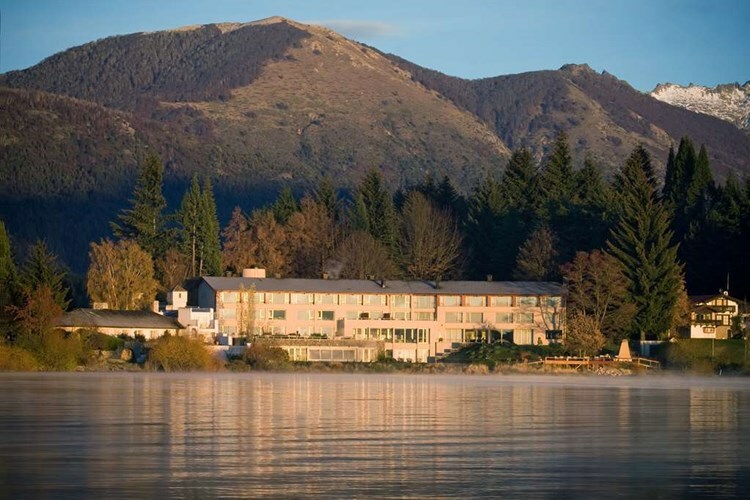 Art and shimmering water views command your attention at El Casco Art Hotel, located in the Patagonian Lake District. 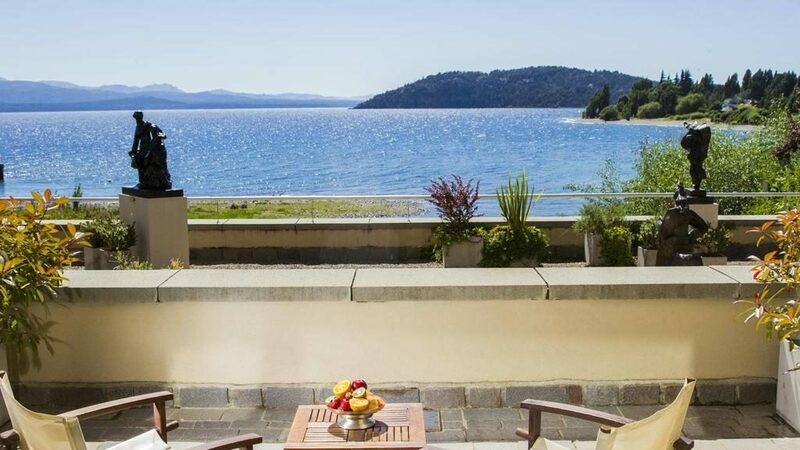 Large, stylish guestrooms (measuring 485 to 1,184 square feet) look onto Nahuel Huapi Lake. 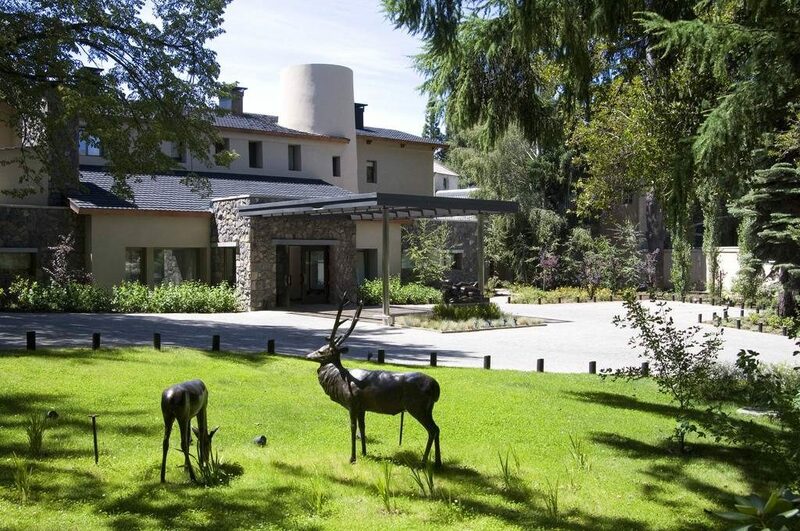 Throughout the hotel you can see works from a collection of 500 paintings and sculptures by Argentine artists. Enjoy the hotel’s sculpture gardens, heated indoor/outdoor swimming pool, solarium, outdoor Jacuzzi, gym and sauna. 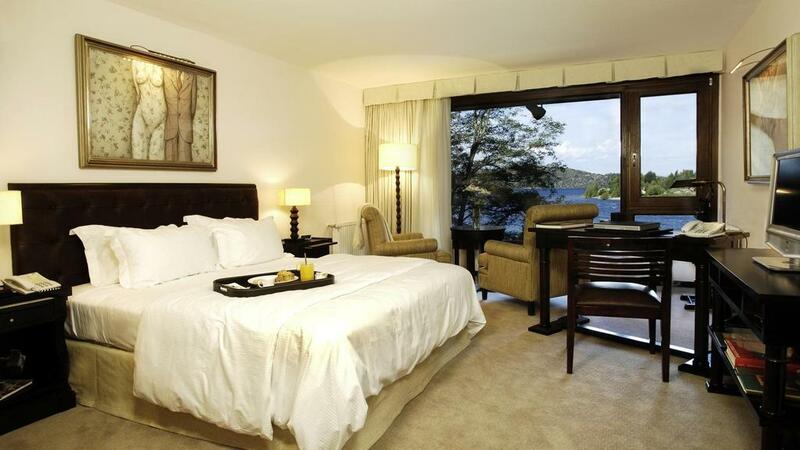 Among the included benefits are an American breakfast, air conditioning and Wi-Fi. 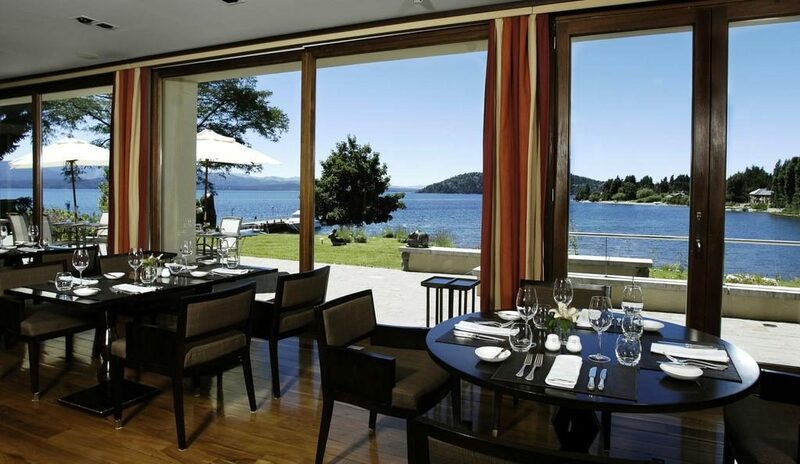 Signature cuisine is offered in the gourmet restaurant, as well as a varied menu in the lobby-bar and room service. 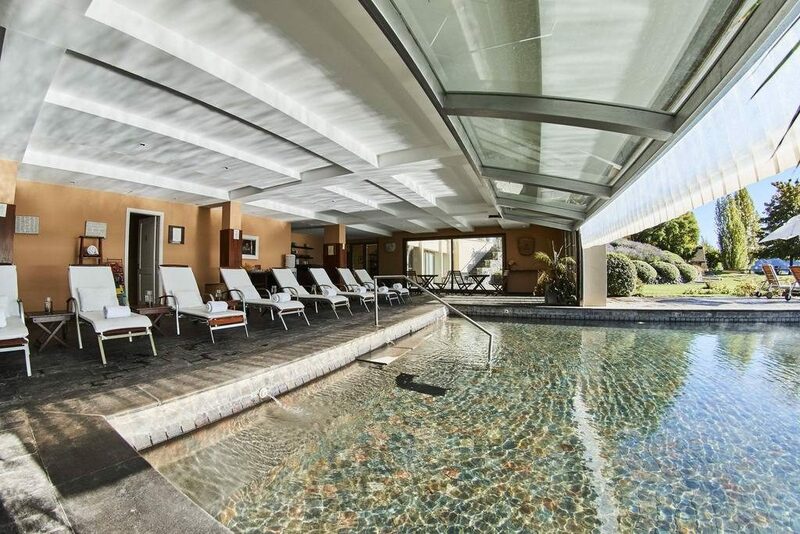 The decor by Julio Oropel stands out by its sobriety, the furniture being so well distributed that it does not compete with the works of art, the hotel’s distinctive characteristic. 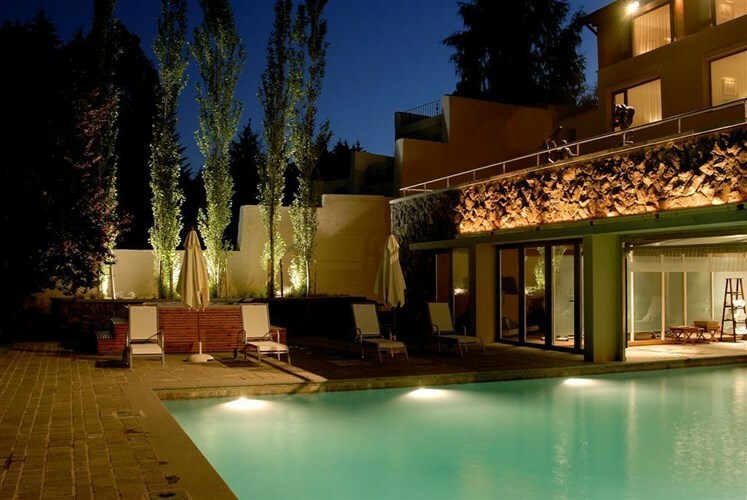 In fact, the refurnished EL CASCO was conceived as an Art Hotel, and it has a collection of 300 paintings and sculptures of Argentine art. 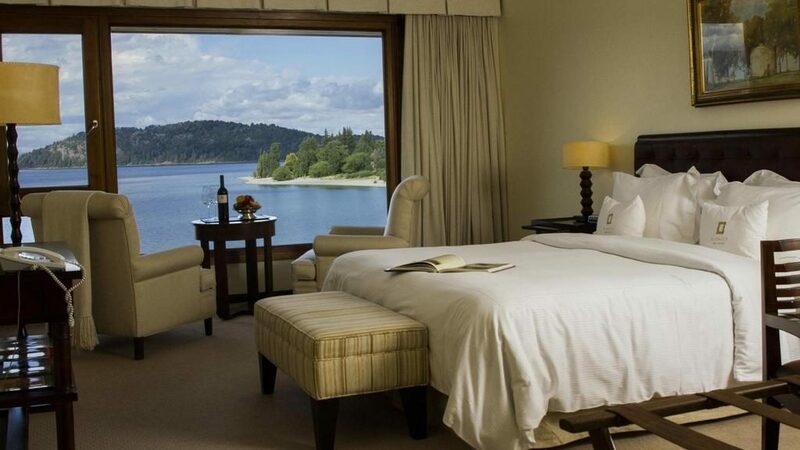 Each of the thirty-three rooms has splendid views of the lake, which is only 40 metres away. 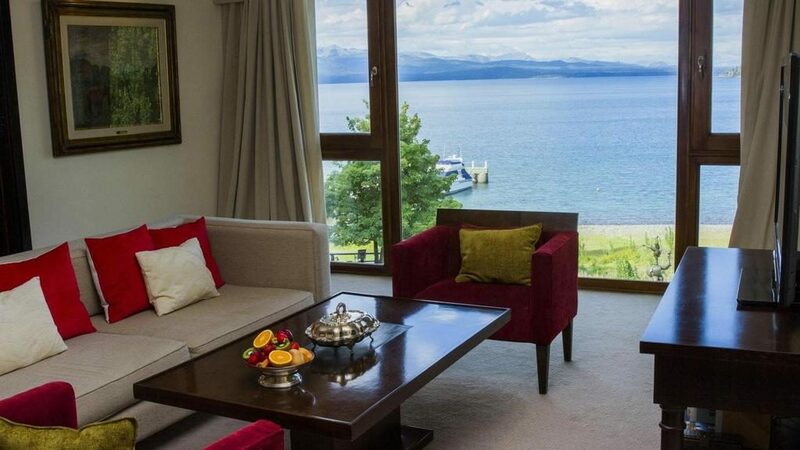 They are decorated with paintings bearing the artist’s name, so the guest may choose the Fader, Bertani, Quirós or Soldi suite, the last one being the biggest (1184 square feet, including a terrace facing the lake). 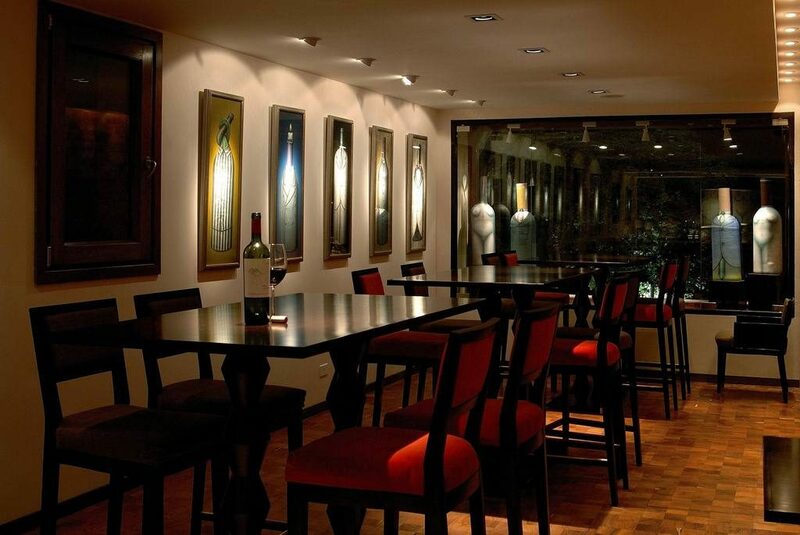 The Restaurant is connected to the hotel through the Wine Bar, decorated with works by Ernesto Bertani. 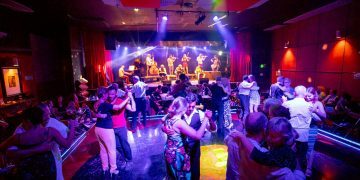 It holds up to 70 guests and its menu was designed by Fernando Trocca (Executive Chef) and Martin Erkekdjian (Resident Chef). 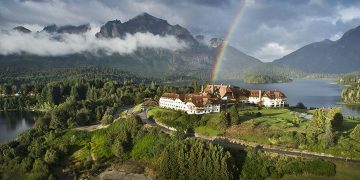 It offers Gourmet Cuisine, using fresh produce from the area, and some dishes are based on recipes by the Ellrichshausen baroness. The Cellarhas 600 bottles of the best national wineries and imported champagne labels. The Cocktail Menu is unique, the result of months of work by our bartender, Renato Giovanoni, who has created 20 new drinks alluding to artists and their pictorial style. 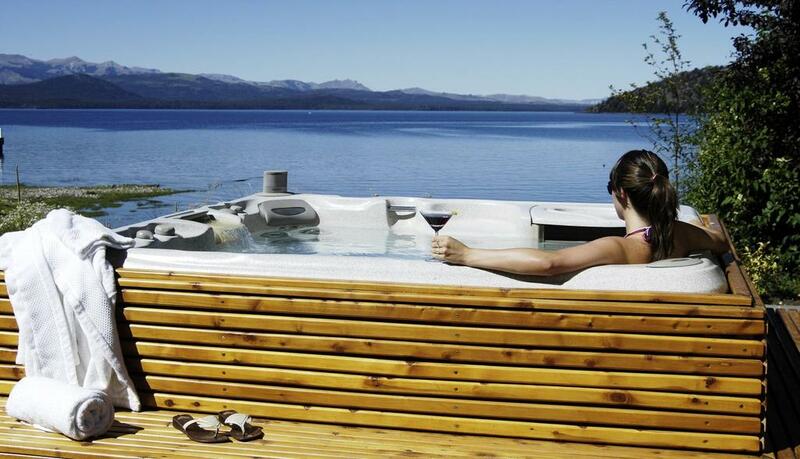 Our guests can choose to sail on the Nahuel Huapi or go fishing on board the Caleu-Caleu, our wooden 15-metres long boat. 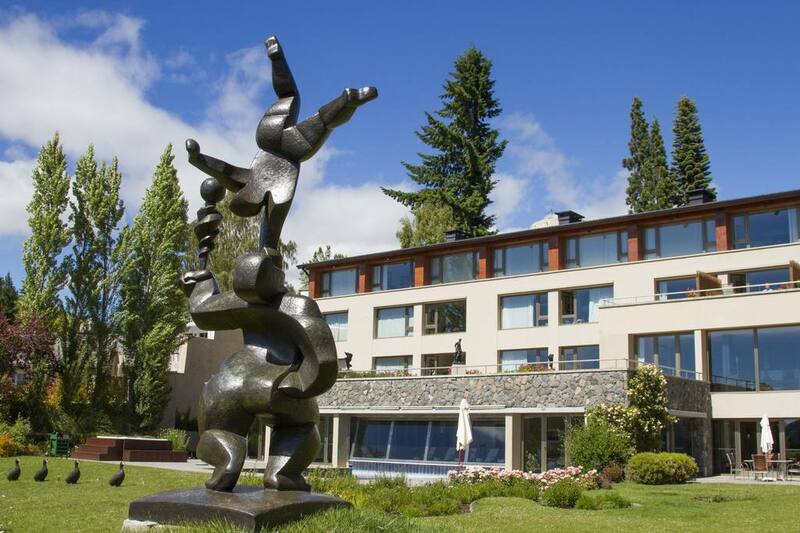 Located at the 11.5 Km off Bustillo Avenue, 15 minutes from the city of Bariloche, as well as 15 minutes from the most important Ski resort, Cerro Catedral, EL CASCO Art Hotel offers a unique opportunity to experience art as well as nature. Indulge in a seven-course, fixed-price, locally grown organic menu that is utterly amazing at Cassis. Just make sure you make your reservations well in advance!